Welcome to the second installment of our INKstallation guides series! 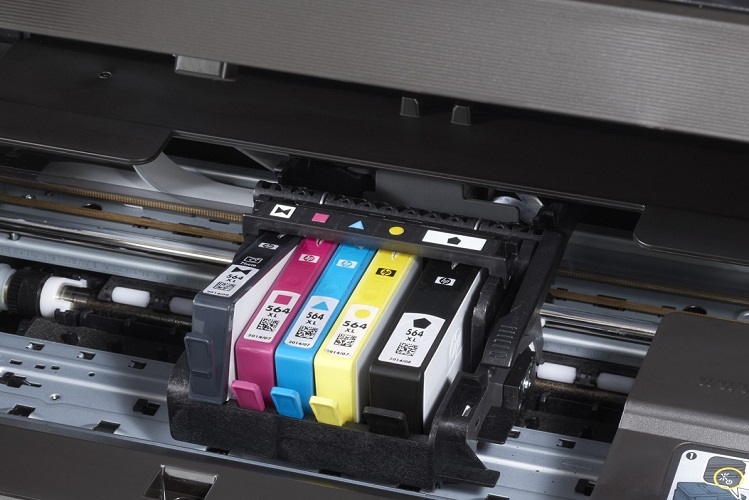 This guide will walk you through properly replacing ink cartridges in HP printers. 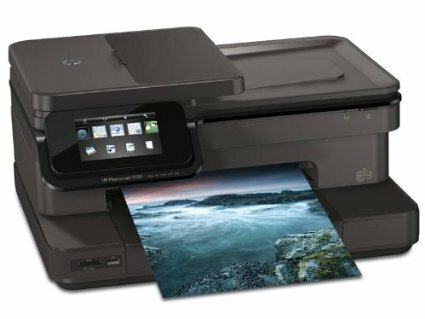 There are many different types of printers in the HP range including All-In-Ones, inkjets, laser jets and high-end design jets which are primarily manufactured to produce top quality photographic prints. No two HP printer models are exactly the same and as a result of this, the ink used from printer to printer can vary. 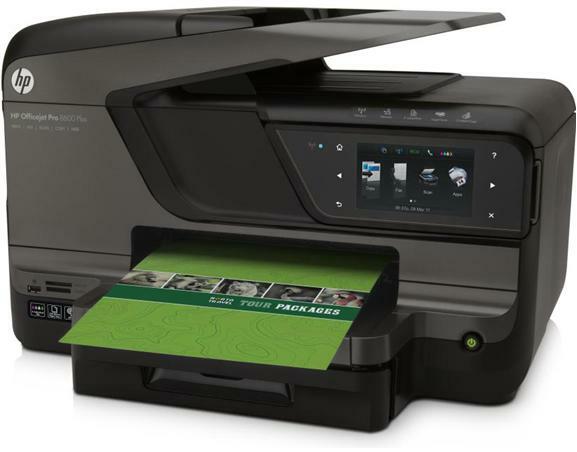 For example, the HP DeskJet 3050 operates on a tri color and black ink cartridge system, whereas the HP Officejet 4620 printer uses individual cartridges for each ink color. As you may have guessed by now, there is more than one way to change an HP ink cartridge, but never fear, we’re here to cover all bases. To offer a step-by-step guide that suits the two main installation styles, we are going to focus on two popular HP printer models: the HP Photosmart 7520 and HP Officejet Pro 8600. You will need both black cartridges in the machine for it to operate properly. A lot of consumers assume that if they have one black cartridge, they won’t need the other. Unfortunately with this particular printer, that is not the case. Both the regular black cartridge and photo black cartridge must be installed in order to print! #1 – Test the estimated ink levels. Of course, before you commit to changing your printer’s ink cartridge, you’re going to want to check the ink levels. To do this, touch the ink icon on your printer’s control panel home screen – this will allow you to decide whether you need to take action. If you’ve checked your estimated ink levels and it’s clear that you need to replace the existing cartridge, then we go to the next step. #2 – Remove the empty cartridge. Turn on your printer and open the cartridge access door. Once the printer is open, wait for the cartridge to move to the center (it will do so automatically) before pressing the tab to remove the old cartridge. By doing so, the cartridge will pop out of the carriage so you can safely take it out. #3 – Unpack the new cartridges. #4 – Insert your new cartridge into the printer. Before you proceed, if you have any concerns or doubts, we strongly advise that you consult your printer’s manual for specific installation instructions, as incorrectly installing a cartridge can be quite costly. Before installing your new cartridges, remove the protective strip from each section and pull back on the plastic tab to expose the vent slots. Next, place each section into the cartridge carriage in the correct order (using the matching color icons on your printer as a guide) until each one clicks into place. Close the cartridge door and the printer lid with care. Please note, if you’re using genuine HP cartridges, the printer will acknowledge that you are using genuine ink. However, if you’re using remanufactured cartridges, you may get a message notifying you that non-genuine HP cartridges have been installed. But don’t worry, this message should not prevent you from printing – you should be able to print as expected (in the unlikely event that you do experience problems, consult your printer manual for further advice). Our remanufactured ink cartridges offer a specially-designed compatability chip that will accurately measure ink levels; much like the HP originals. #5 – Finish installation and test your HP cartridge. Once your cartridge is physically installed in the printer, a confirmation message will appear on your desktop. Press confirm to allow the printer to initialize and prime the system with the new cartridges. Once this is done, your printer will prompt you to do an all-important alignment test. Load paper into the printer and press okay to start the alignment process, before examining the page to check the print quality. Click on the Clean Cartridges function and just like magic, the printer will perform this operation on your behalf. As mentioned earlier, before you even think about swapping cartridges, you should check the estimated ink levels. To do so, press the button that looks like a wrench on your printer’s control panel (scroll through options using the arrows on the display). This will tell you whether you need to take action. If you’ve checked your estimated ink levels and it’s clear that you need to replace the existing cartridge, proceed to Step 2. Turn on your printer using the power button and make sure you have a sufficient amount of paper loaded into the tray. Open the cartridge access door by placing a finger into the slot on the left side of the printer and gently pulling down. Once you have done this, the cartridge carriage will automatically move to the center of the printer. To remove the old cartridge, press your finger on the end of the cartridge so it pops out and pull it towards you to gently slide it from its slot. Unlike the HP Photosmart 7520, this cartridge comes in one unit, rather than four separate sections. Carefully remove the cartridge from its packaging and be extra careful not to touch the gold chip located on its end, as this is the electrical contact. If any dust or residue gets on the contact, clean it off gently with either a lint free cloth or Q-tip, as it may not read properly once installed. To insert your new cartridge into the printer, hold it by its sides, then gently slide the new cartridge into place until it makes a clicking sound–always make sure you insert the contact side of the cartridge into the machine. Close up the access door and wait for the printer to initialize. Please note, if you’re using a remanufactured cartridge and you get an error message after installation, gently clean the contact point with a Q-tip (cotton bud) or lint-free cloth. More often than not, this will solve the error message issue. If you’re using genuine HP cartridges, the printer will acknowledge that you are using genuine ink. However, if you’re using remanufactured cartridges, you may get a message notifying you that non-genuine HP cartridges have been installed. But don’t worry, this message should not prevent you from printing – you should be able to print as expected (in the unlikely event that you do experience problems, consult your printer manual our customer service department for advice). #5 – Test your HP cartridge. After you’ve installed your ink cartridge, it’s time to carry out that vital print test to check the print quality. Fire up a document, press print, check the results and check that the ink is printing correctly. If the ink does come out streaky or smudgy, consult your HP printer manual to check how to align the printer heads. We hope you enjoyed our step-by-step guide on how to change HP printer cartridges. Stay tuned for part three of our printer installation guide series which will talk about how to replace Epson cartridges.